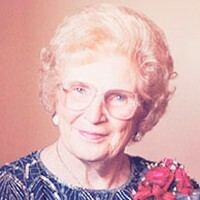 Borka, Lorraine Marie (Klehr) 91 of Prior Lake, passed Mar. 6, 2018. Visitation Mon. 3-7PM at Ballard-Sunder Funeral Home, Prior Lake. Mass of Christian Burial 11AM Tues. with visitation starting 9:30AM at St. Michael Catholic Church, Prior Lake. Survived by children, Darlene (John) Richardson, Karen (Leo Dorn) Seifert, Duane Borka, Mary Kay (Tim) Wagner; 14 grandchildren; 25 great-grand-children; sister-in-law, Betty Haugh. Preceded by husband, Norbert; son, Larry; son-in-law, Jim Seifert; grandson, Josh Wagner; 11 siblings & their spouses.